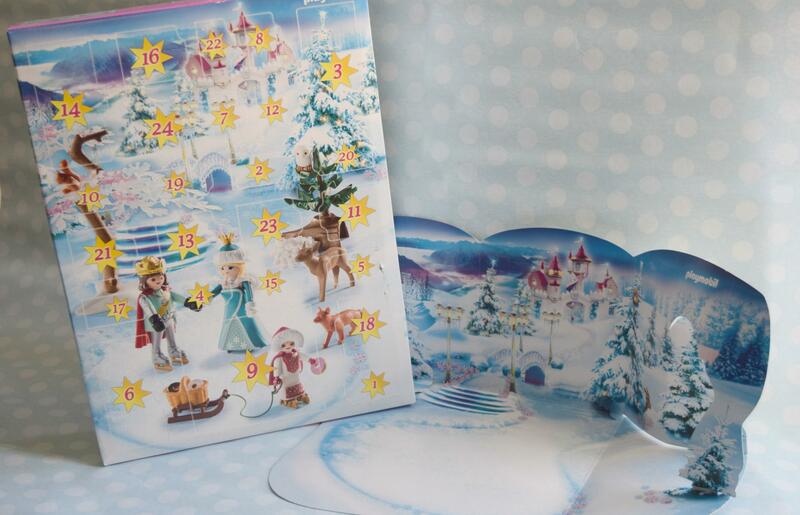 I can’t actually believe it is this time of year again, but can we talk advent calendars? Last year we had the Playmobil Christmas on the Farm advent calendar, and it was a real hit with Max – he loved opening a new window every day and building his farm scene throughout December. 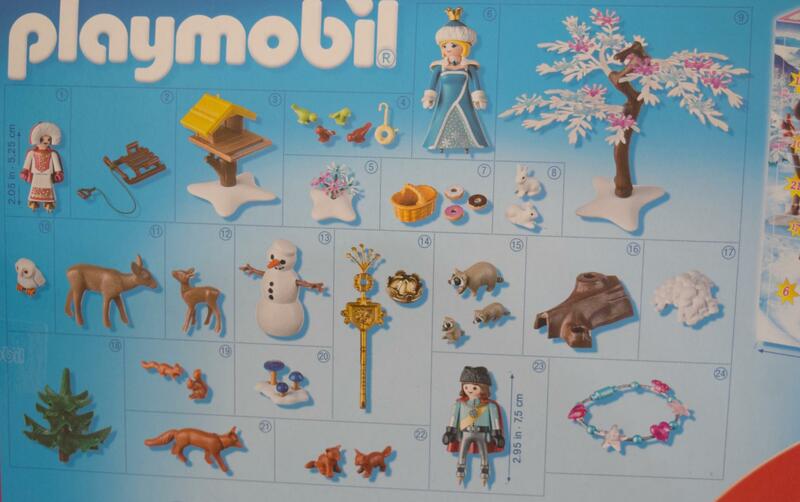 I knew we wanted something similar this year, so we were thrilled to receive the Royal Ice Skating Trip from this years Playmobil advent calendars collection. The calendar is set out as you would expect – 24 boxes to open throughout December. Attached to the back of the calendar is a bag containing the winter scene. This just unfolds and has cardboard tabs to slot it together and create a 3D background. 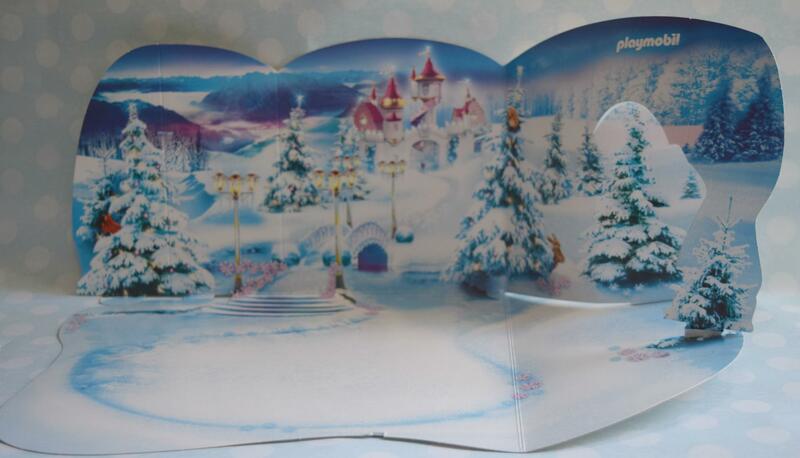 Each advent window contains a new figure, animal or item to create the scene you see on the front of the box. The back of the box tells you what is inside each window, so you might want to make sure you don’t show your children this bit, or you could spoil the surprise! This year, the calendars have an extra special surprise on day 24 – in this case, this is a little bracelet. I think this is a lovely little touch for Christmas Eve. 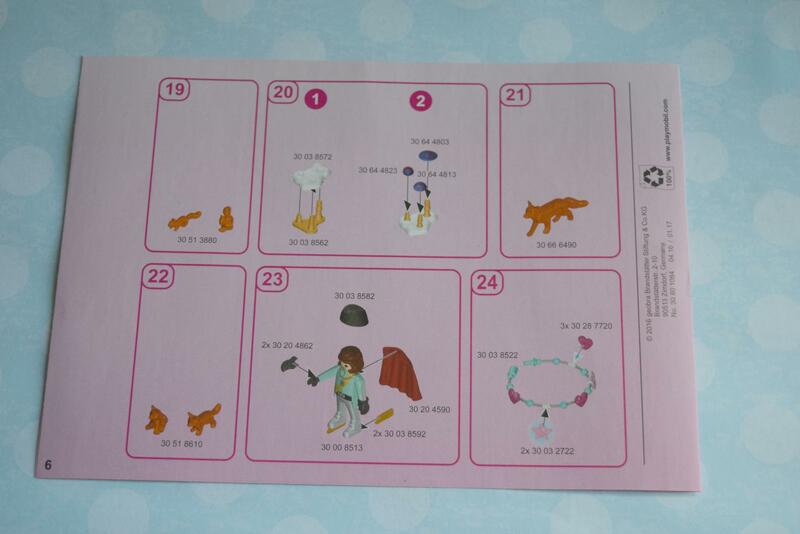 Some of the characters and items need piecing together once you have opened the windows, so the Playmobil advent calendar comes with a really handy fold out guide to help you know which bits go where. It all looks pretty straightforward, and I am confident that Max will be able to manage most of this himself. 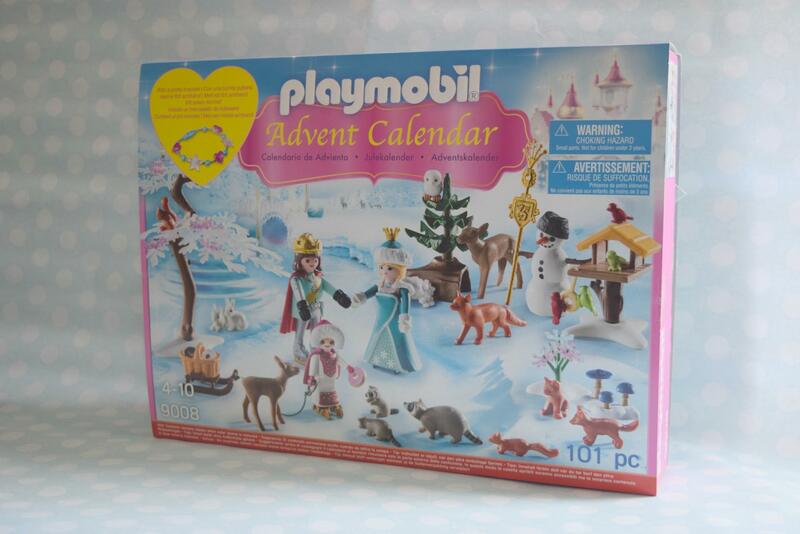 The Playmobil advent calendars are priced at £19.99, which I think represents pretty good value. If you consider the usual price of a Playmobil play set, you’re actually getting really good value for money. All the pieces can be mixed and matched with other sets, and encourage imaginative and creative play. As a top manufacturer in pre-school toys, Playmobil have really hit the nail on the head with these calendars, which are the perfect way to countdown to Christmas with your child. My friend was talking about these yesterday, they look amazing! Athena would be over the moon with this! We also had on the farm calendar, last year and Finlay loved it. I think this is a bit too girly for him this year, so I am on the hunt for an alternative. It looks great though, if Emmie was older I would definitely get it! Heidi Brown recently posted…How to Make a Superhero Birthday Cake! Oh, we had the farm one last year and loved it! This one would definitely be a big hit with my girls I’m sure.